Because this is that book. I have the biggest book hangover that I've every had. It's awful. I just want to curl into a ball and make the world go away. I just want to talk about what I'm feeling. The ending of this book - OMG! I can't even... I just can't. The epilogue was just so beautifully done and bittersweet that it's heart wrenching.​ ​Why? 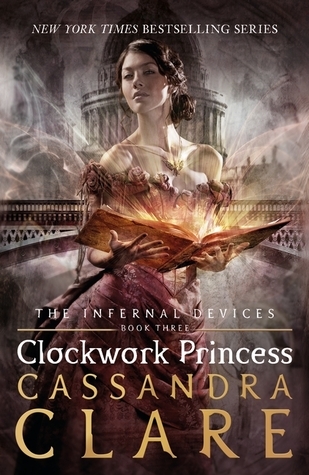 Why would you do this to me, Cassandra Clare? What did I ever do to you to deserve such treatment?! I mean, I knew it was inevitable. I knew it was going to happen, but to read it? To actually experience it! Rip out my heart and stomp on it. I don't want to feel anymore. But I'm getting ahead of myself. I did just start off with the my take on the epilogue - but that's the part that got me so bad. That's where you cry until you can't cry no mo'! ​I just can't express enough how much I love these characters. How much they have become a part of my life. I root for them, cry for them, feel for them. I love that the Lightworm - er, Lightwood - b​​​​r​others became a bigger part of the story and a real integral part of the Institute.​ ​Gabriel I think had the biggest change of all, which was nice to see as his character began to grow on me. I also tended to agree with the characters when they said he and Will were quite similar. Cecily took a lot longer to grow on me. She seemed whiny and needy. I wasn't a fan, but she got better towards the end of the book.​ ​I could have down without her and Gabriel, but I was pulling so hard for Sophie and Garbiel. Top cute, those two. Henry and Charlotte were also just... Henry and Charlotte. I loved they are on the same page, except when it comes to baby names. It was very nice to seem them finally understanding one another. I was also a huge fan of the way Charlotte stood behind her Shadowhunters to do what was right. Throughout the series she has really shown to be a true leader and I love that about her - especially considering the time period she is living in. Magnus was Magnus. Cheeky and amusing. I do love him. The narration is beautiful and I love that we get to be in all these character's head and find out what they are thinking and feeling. 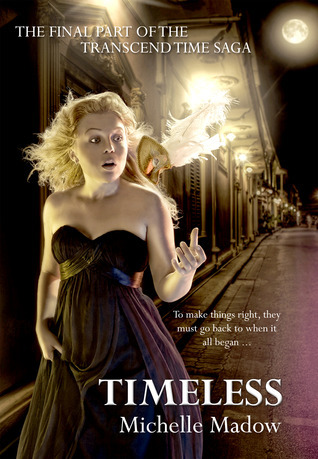 I've felt this has been a pivotal narration setup since Clockwork Angel, but in this installment it really shines through, especially considering all the emotions and problems our characters face. Not to mention the resolutions that come about with each of them. And now, for our love triangle - which was done very nicely. I love everything about these three. The bond between Will and Jem is something that will last and last. I'm getting a little teary-eyed just thinking about some of the things that happened between them. (My coworker already think I'm nuts, so it's totally okay. )​ ​The love between Jem and Tessa is​ ​so special and unique, just as is the love between Will and Tessa.​ ​I can't say which character or when, but it's commented that Tessa's love for Will is different than Tessa's love for Jem and it really truly is. That's what makes this love triangle so great. And lovely. And real. And heartbreaking.